Seagrass provides shelter and protection to small prey animals such as shrimp, crabs and many fish in their larval form. The filtration process by which sea grass obtains nutrients removes impurities from the water and creates cleaner water for animals and people to enjoy. In addition to these benefits, seagrass is an abundant food source for many aquatic life forms. 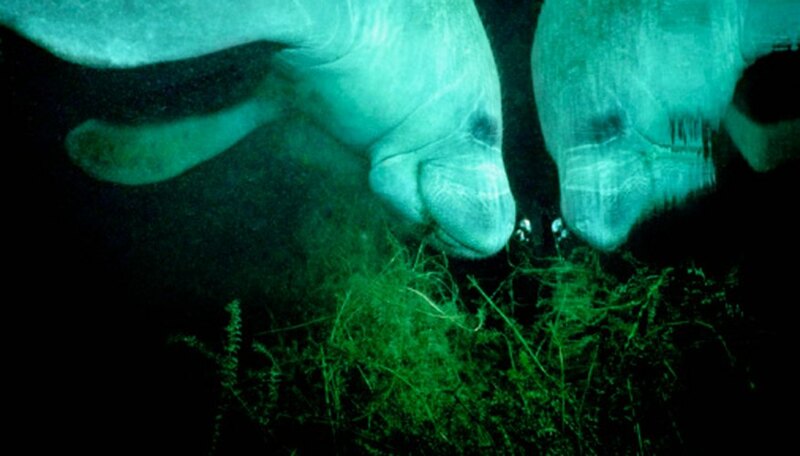 Manatees are large aquatic mammals that feed primarily on seagrass. Their presence in a particular location is closely linked to availability of this food source and warm waters. These gentle giants weigh between 1,000 and 3,000 lbs. and can consume approximately 15 percent of their body weight in seagrass everyday. That’s more than 150 lbs. of vegetation! 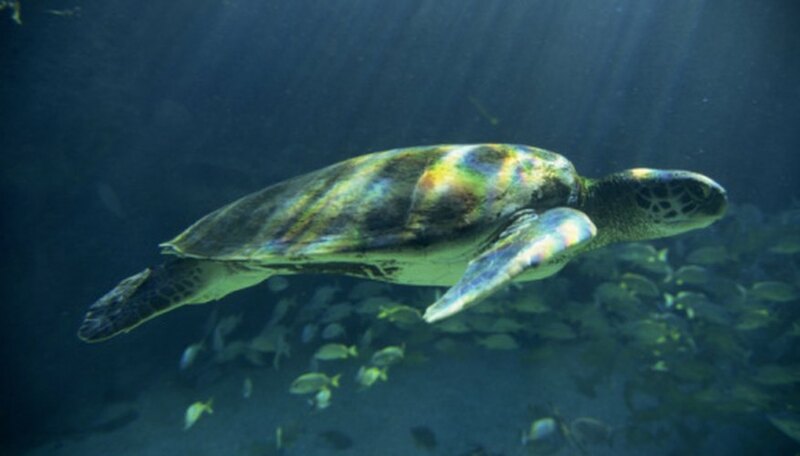 Green sea turtles are the second largest species of sea turtle. These turtles weigh up to 500 lbs. and eat only sea vegetation. Their method of feeding keeps seagrass beds healthy by cropping the leafy growth of the plant but leaving the roots to continue growing, similar to the process of cutting the grass in your yard. Most fish utilize seagrass as a place of sanctuary and as a nursery for their young; many feed on small creatures that live within its shelter. However, some vegetarian fish consume seagrass as their primary food source; these fish include parrotfish, mullet, scrawled filefish, keeled needlefish and ocean surgeon. Crabs and lobsters also feed on the abundant vegetation found in seagrass fields. However, they are opportunistic eaters and will take advantage of smaller prey species that dwell in these vast fields and consume them as well. Migratory birds such as ducks, geese and swans also eat seagrass. The mute swan is a non-native species to the eastern seaboard and is negatively impacting the ecosystem. It is a consumer of seagrass resources and its population is increasing, leaving less grass available for the native wildlife population. Their current protected status makes it difficult for wildlife agencies to successfully manage the growing population. Heather Thomas has written professionally since 2010. Her articles draw from a lifetime of experience in home education, business management and health and nutrition. Thomas is a member of Writer’s Village University and a moderator for their nonfiction study group. How Big Can a Shark Get? What Is the Importance of the Intertidal Zone? What Foods Do Harp Seals Eat? What Do Sturgeon Fish Eat? Thomas, Heather. "What Eats Seagrass?" Sciencing, https://sciencing.com/eats-seagrass-8260330.html. 25 April 2017. What is the Difference Between a Temperate & Tropical Ocean?